The surgical tables were prepared and ready. The physicians dressed for the day, complete with their lab coats, masks, gloves and caps. The surgical equipment was meticulously laid out for the operation. It was time for the doctors to do what they had been trained to do: dissect non-fiction text. 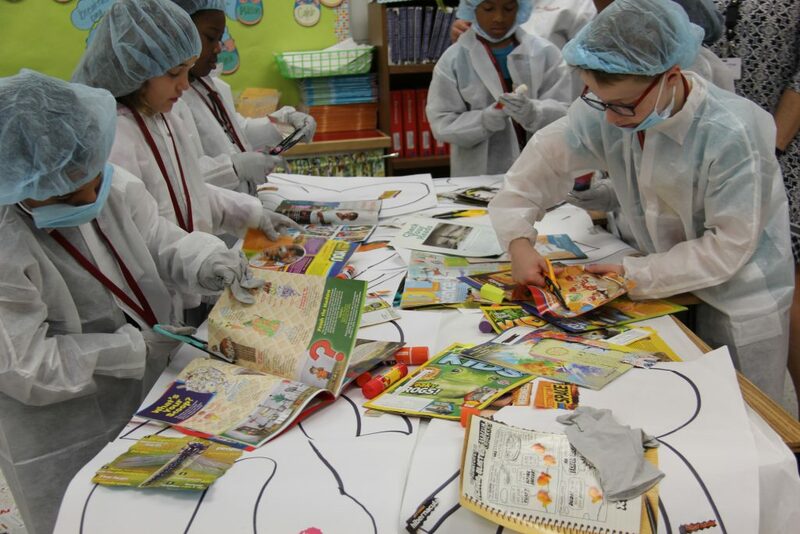 Students in Beth Kelly’s third-grade classroom at Woodstock Elementary spent part of their morning pouring over an array of magazines to identify specific elements of non-fiction text and then use those components to bring a story to life on large paper people cutouts. 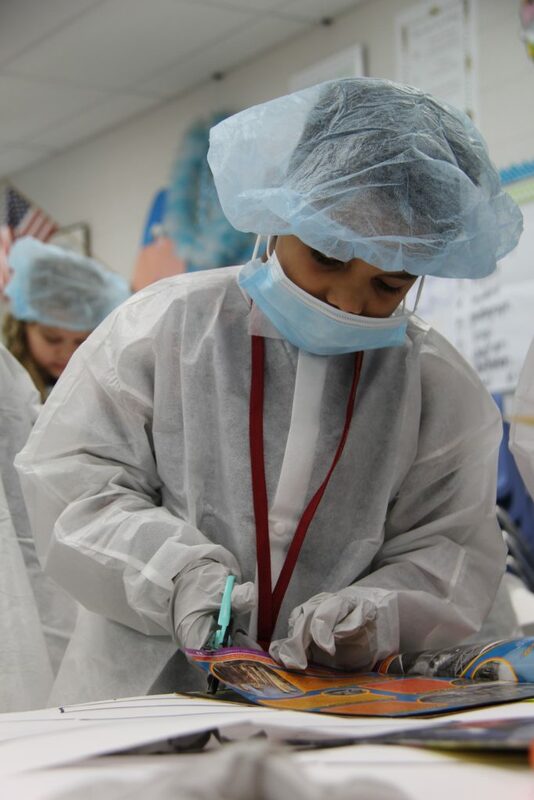 Strewn across the operating tables (combined desks), the student surgeons were carefully using their scalpels (scissors) to cut out their found elements and precisely stitch (glue) them on to their paper patient. Kelly got the idea from following discussion threads on Twitter and thought it would be a great way to transform her classroom. “My goal this year was once a month to have a transformation day – have the whole room set up to do something like this,” she said. In September, while teaching numbers and place value, her room became a boot camp, where students were issued dog tags with numbers on them so they could spend the day practicing rounding, place value and other mathematical lessons. 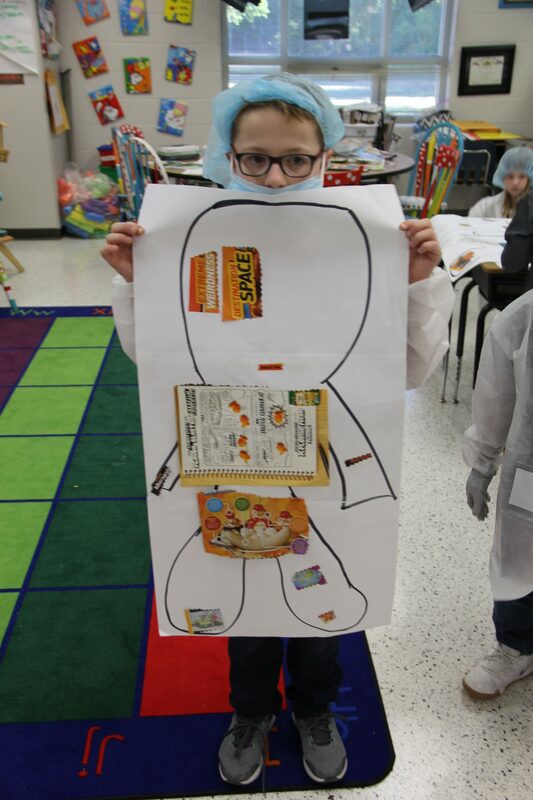 This time around, and just in time for Halloween, she wanted to help students apply the definitions of elements they were learning in a fun and engaging way. It also helps reinforce for students how to best support fact-based writing. “You know they can identify the features, they can find it in real text. 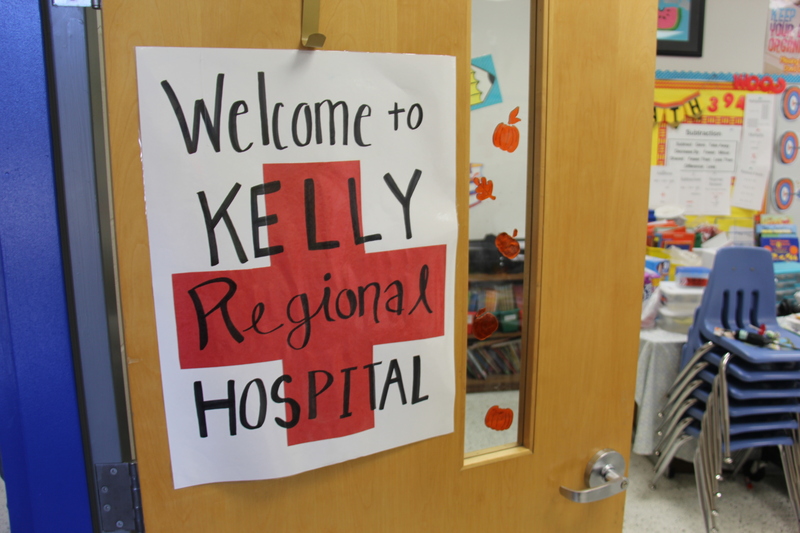 Too often, it is too easy in a worksheet – it’s too right there – but this is real life,” Kelly said. While there were a couple of surgical hiccups (one surgeon got her gloves stuck in the cap of the glue stick), there were plenty more conversations about the elements that make up a non-fiction text. 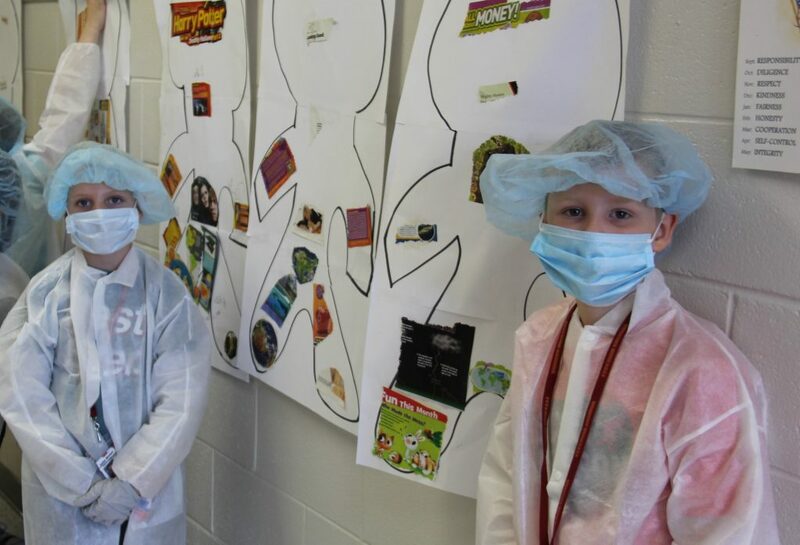 As the doctors completed their operations, they were able to discharge their patients to the hallway recovery room, where guests and visitors from all over the school could see their best work. By the looks of it, these doctors will move into private practice in no time flat. This is great. The students will remember this. Mrs. Kelly, You are amazingly creative and set the bar high for other teachers as well as your student expectations! Thank you former classmate for the motivation! © 2012-2019, Virginia Beach City Public Schools. All rights reserved.